If Wolverhampton, UK act Dearist opened for Thursday during their Full Collapse tour back in 2001, chances are they would have immediately become your favorite band, especially if they were performing songs off their latest album Sonder. Hell, I would have loved to have heard these tunes live when I saw Thursday opening for Sick of It All back in 2001. Sonder is raw and enigmatic; bursting at the seams with big sound and even bigger emotions. The album bleeds a frail vulnerability (“Fool’s Heart”) in one moment and vibrantly pulsates with churning guitars, quickened tempos and crashing cymbals the next (“Beaches”). Expect a cornucopia of sound on album highlight “Drowning,” from hazy leads and fuzzed out vocals to expansive hooks. “Demuto” is one of Sonder’s most powerful entries, with the band shouting ‘this changes everything’ over and over again with the same passion they shout ‘sink or swim’ in the following “Essex 1820.” “Part of You” brings booming guitars, leading into “Half Light,” easily the heaviest, most exacerbating track on Sonder. It’s truly explosive, building crescendos that crash into blistering guitars and agitating vocals. Sonder doesn’t tire or fade down the stretch; it’s not a long record by any means, a testament to the strength of this collection of tracks. On the contrary, Sonder almost seems as if it gains strength throughout its latter stages, something that really cannot be said for many records. You can take all of those afore mentioned descriptive words and adjectives and use them to describe “Shame” and album closer “Colours,” two of the album’s final three tracks and two of its most well-rounded outings. 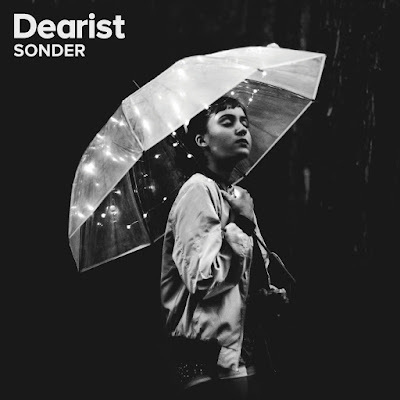 This album has mass appeal – fans of alt-rock, early emo, rock and the like should flock to Sonder. One thing is for sure, if you do give Sonder a spin (and you definitely should), you will not leave disappointed.